Maisun Levon Little passed away Friday, November 30, 2018 at Sentara Careplex Hospital. 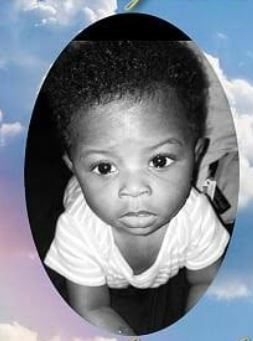 he was born to Erin Little on October 17, 2017 in Virginia Beach, VA. Maisun was a loving son, brother, grandson, nephew, and cousin. He had a smile that would light up a room. He loved dancing, laughing, playing with is older brother, but most of all loving his mother. During his time here on earth, he touched many lives and was loved deeply by family and friends. His life was a gift to us that we will forever cherish. He was preceded in death by his great grandparents, Charles and Willie Mae Holly of Virginia; and Walter and Sonya Bunting of New Jersey. Maisun is survived by his mother, Erin Little; his brother, Roman Williamson; his grandparents, Myra and Levi Little; his aunts, Myla Glover, Cheyenne Little, Latoya Bunting, Jakalynne Jones; and a host of great aunts, uncles, and cousins.